New porcelain veneers can transform your smile this spring. Schedule an appointment with Dr. Donnelly at San Marcos Gentle Dental for your porcelain veneers consultation today. Dr. Donnelly is a highly qualified San Marcos cosmetic dentist. San Marcos Gentle Dental proudly restores smiles daily throughout San Marcos, TX, Kyle, Wimberley, New Braunfels, and the surrounding communities. Planning: First, Dr. Donnelly will discuss your smile goals and determine the look you’re trying to achieve. Dr. Donnelly will examine your teeth to make sure that porcelain veneers are appropriate for your cosmetic corrections, and may also take x-rays and impressions of your mouth and teeth. 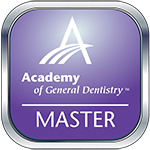 Preparation: Next, Dr. Donnelly will prepare your teeth for porcelain veneer placement by gently removing a thin layer of enamel from the tooth surface. This will be about equal to the thickness of the veneer to be added. Dr. Donnelly will then take an impression of your tooth, which is sent out to a dental lab for the custom fabrication of your veneers. Temporary veneers may be placed in the meantime. Bonding: After your new porcelain veneers arrive, Dr. Donnelly will temporarily place them on your tooth to examine the fit and color, trimming the veneer as needed to achieve the proper fit. Dr. Donnelly will then clean, polish, and etch your tooth to create a strong bond. Next, special cement will be applied along with a curing light to harden the veneer in place. Finally, Dr. Donnelly will remove any excess cement and evaluate your bite, making any final adjustments if necessary. You can smile confidently again this spring with new porcelain veneers. Make an appointment with Dr. Donnelly at San Marcos Gentle Dental for the porcelain veneers you need today. 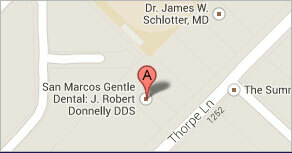 Dr. Donnelly is a trusted San Marcos cosmetic dentist. San Marcos Gentle Dental delivers quality care daily throughout San Marcos, TX, Kyle, Wimberley, New Braunfels, and nearby cities.